New Defibrillator Installed at YCRC. Club members may have noticed the shiny yellow box outside the main boat bay doors – a new Automated External Defibrillator (AED) has been installed! The AED, whose purchase was funded by a generous grant from Micklegate Ward, will not only safeguard the rowers who boat from YCRC, but the rest of the York community, as it is accessible in an emergency via a code provided by 999 operators. Designed to administer a high energy shock to someone who suffering cardiac arrest, use of an AED forms a crucial step in the chain of survival, significantly boosting survival rates. Since the installation of the new AED this autumn, it has already been called to an incident in the city centre, demonstrating the device’s potential to save lives in York. Cllr Jonny Crawshaw, Councillor for Micklegate Ward, said: “I am delighted that Micklegate Ward Councillors were able to fund this defibrillator giving access to a potentially life-saving piece of equipment not only for members of the York City Rowing Club but anyone in this part of the city centre. Prof. John Sparrow, YCRC President, said “We are very grateful to Micklegate Ward for the funds to make life-saving equipment available to all. 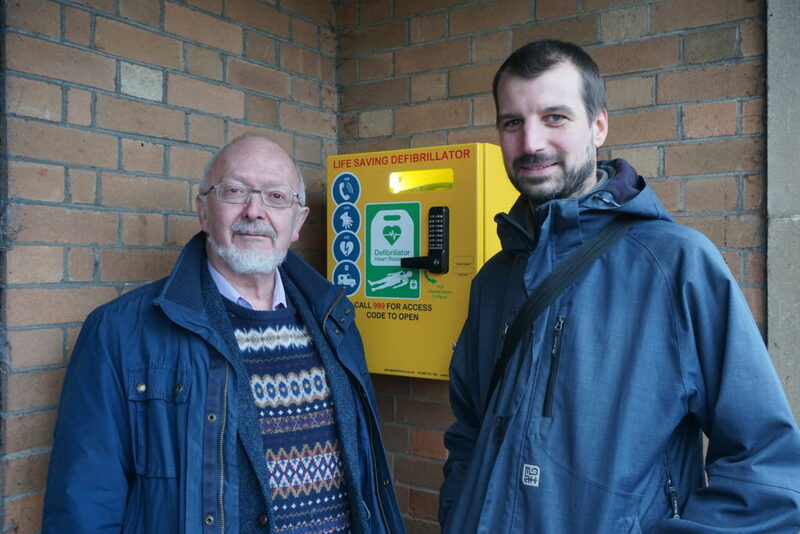 Cllr Jonny Crawshaw and John Sparrow unveiling the new AED.